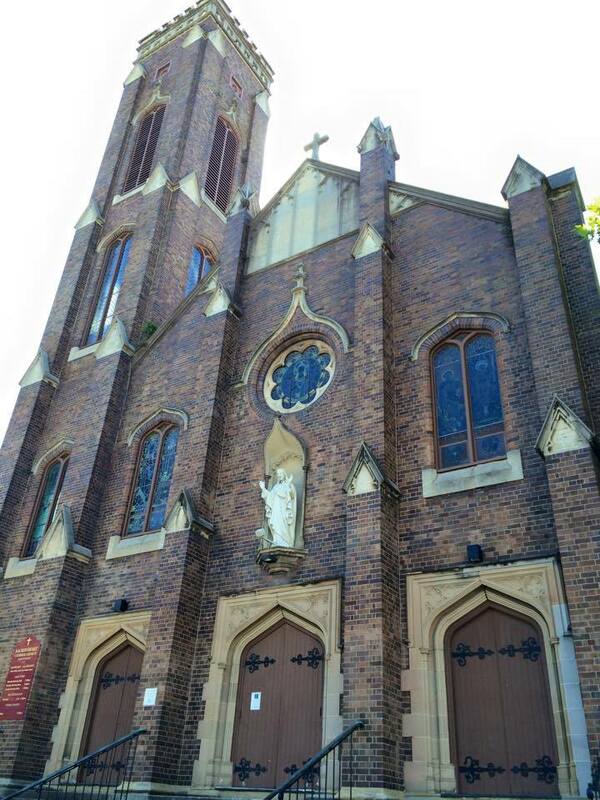 Sacred Heart Catholic Church, 180 Darlinghurst Road, Darlinghurst. 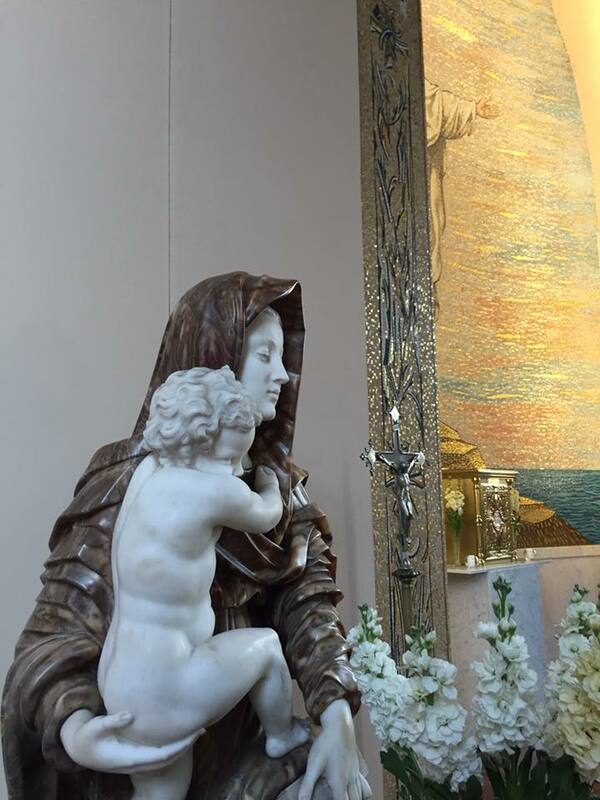 Masses at the Sacred Heart Church are on Fridays at 9am, Saturdays at 5.00pm, Sundays at 9.00am, and at other times during University term as notified. 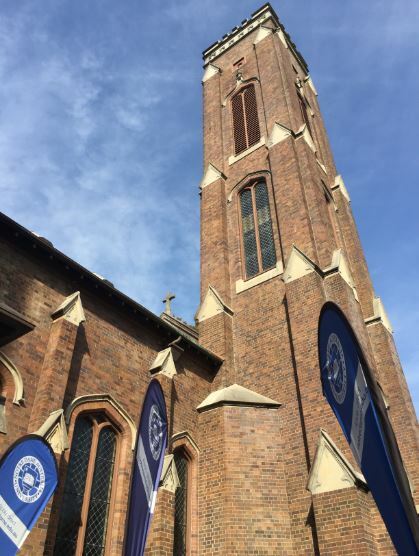 The Parish at Sacred Heart, Darlinghurst, is a separate Parish in its own right, although these days it is staffed by the priests attached to St Mary’s Cathedral. The present Sacred Heart Church is the second to stand on the site. 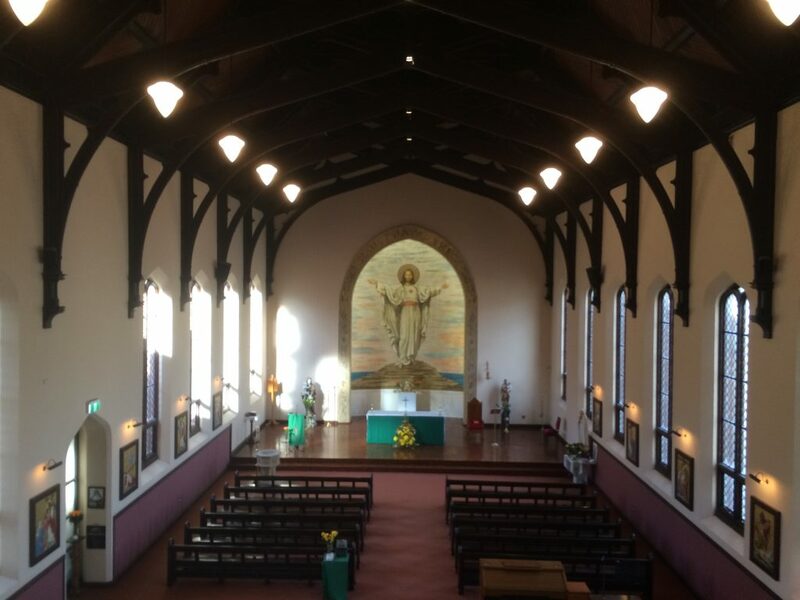 The foundation stone of the first Sacred Heart Church was laid and blessed by Archbishop Polding on 3rd May 1850 and the first Mass celebrated there in 1852. It was a handsome stone building in the Gothic Revival style, but soon proved too small and was enlarged in 1862. Archbishop Polding himself lived in the presbytery at Darlinghurst from 1865 until his death in 1877. In 1909 the Sydney City Council decided to widen Oxford Street, and a part of the church land was resumed, requiring the demolition of the old church and the construction of a new Sacred Heart Church on almost the same spot. The foundation stone of the present church was laid in 1911. 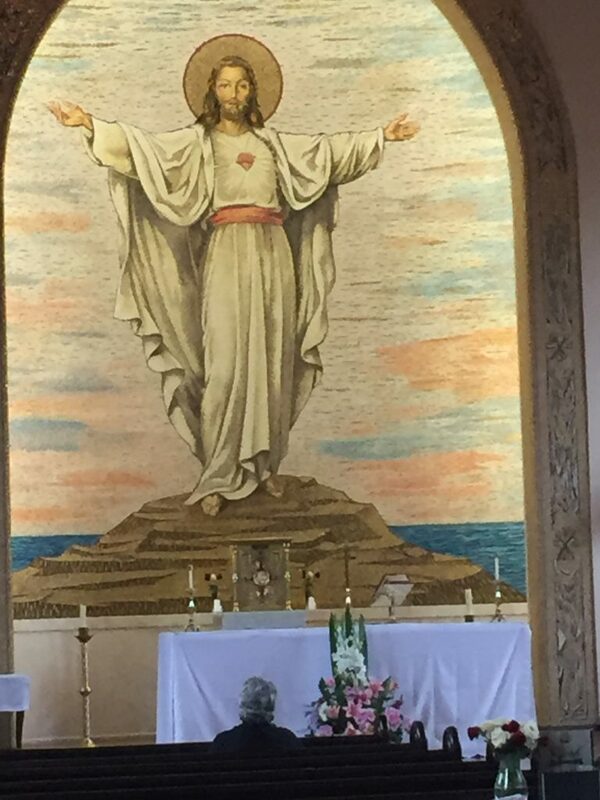 It was extended in the mid twentieth century, at which point a very large mosaic image of Christ was placed on the sanctuary wall. 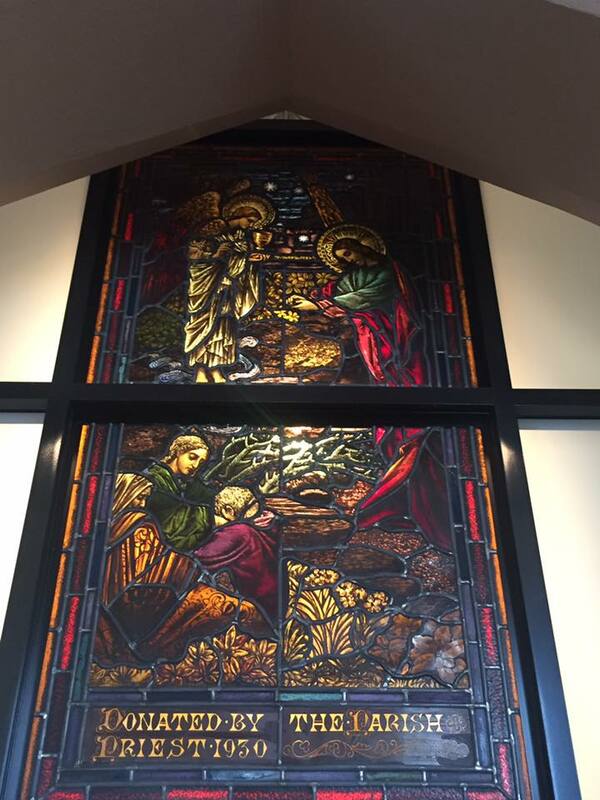 The extensions were dismantled in the 2000’s to allow the construction of a building for the University of Notre Dame Australia, whose medicine and nursing schools are located on the site, but the mosaic was retained and moved into position on the new sanctuary. The Darlinghurst campus of the University of Notre Dame Australia is located in the grounds of Sacred Heart Church, and the Sacred Heart Hospice, St Vincent’s Public and St Vincent’s Private Hospitals are adjacent.